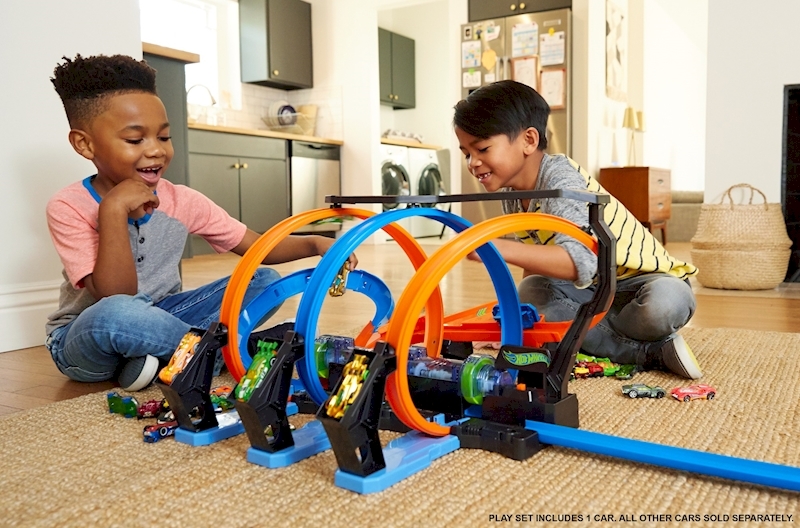 The Hot Wheels® Corkscrew Crash™ Track Set is the ultimate set for speed and motorized boosted action! 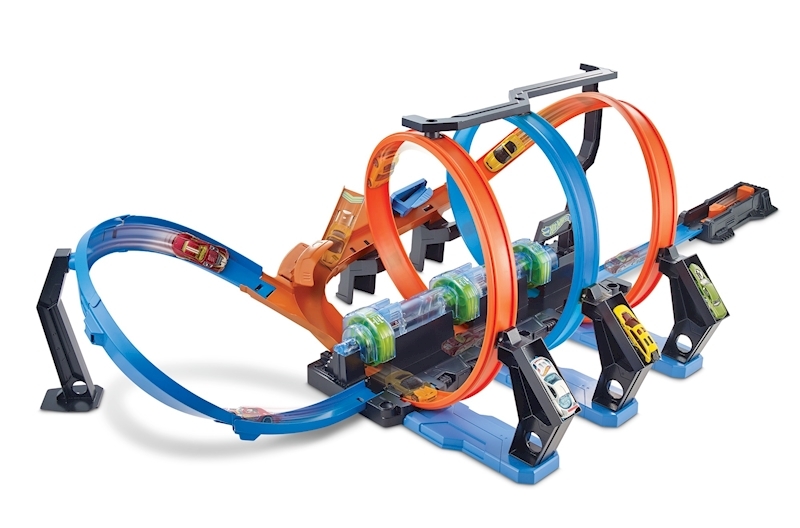 The unique corkscrew design sends cars flying around the track at dizzying speeds and crashing and smashing through the triple loop with 3 high-action crash zones and 3 high-speed boosters. 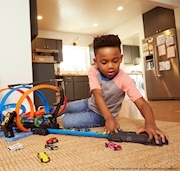 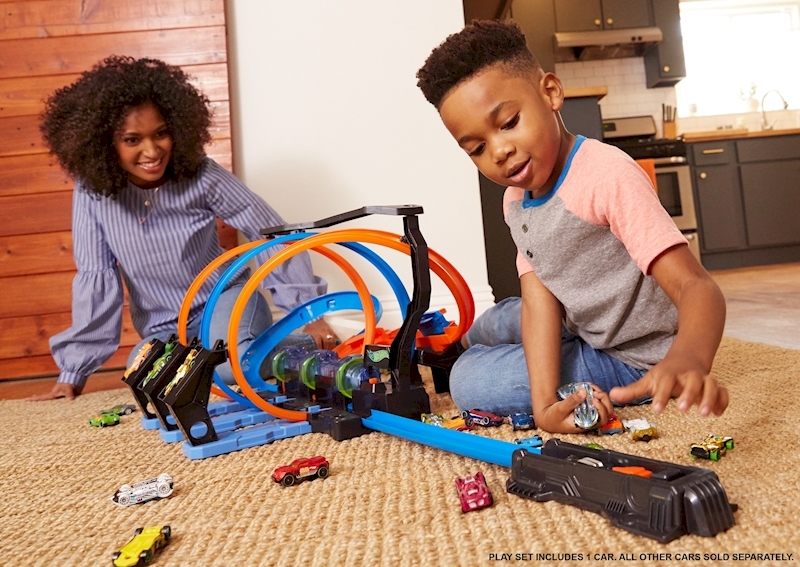 This interactive, skill-based set drives problem solving with exciting Hot Wheels® action as kids try to launch their cars without crashing out. Kids test their skills by timing a launch into the corkscrew madness without wiping out in one of the three wild crash zones! 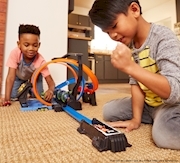 Send more cars into the action with the drop-in ramp to increase the fun and the challenge. 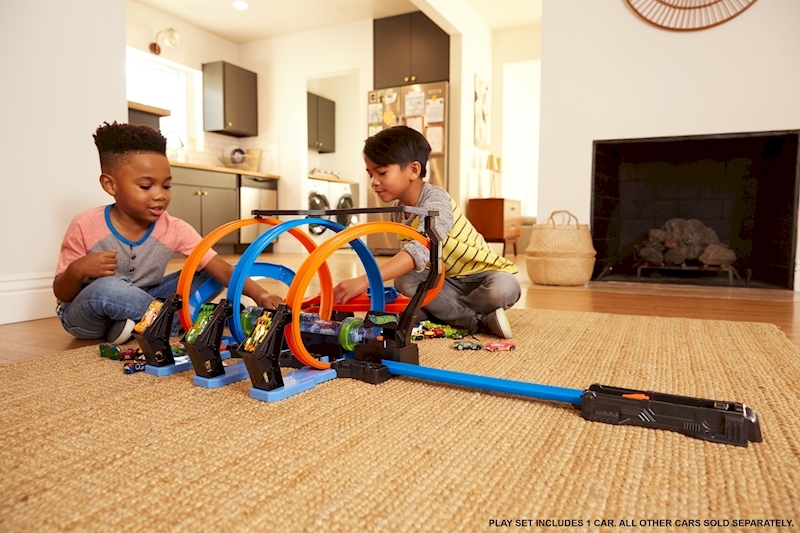 This massive set is great fun for one or two players. Comes with 1 Hot Wheels® car. 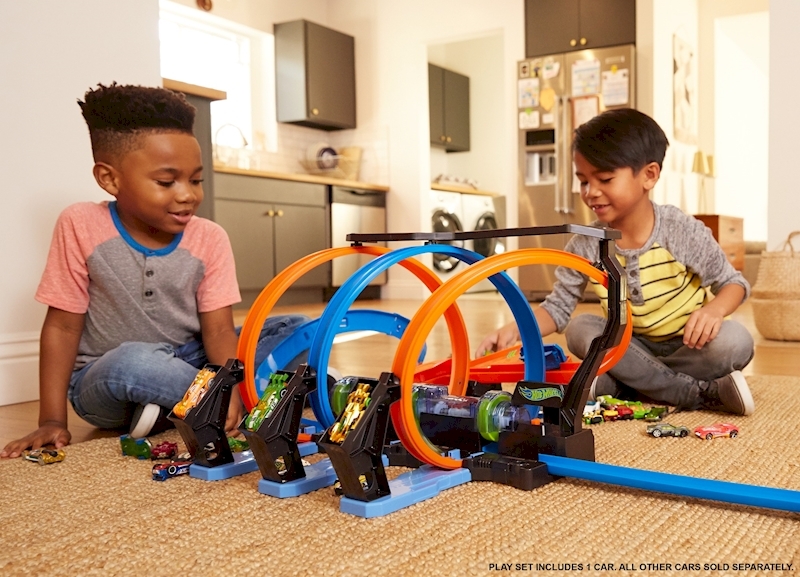 Connects to other Hot Wheels® sets for an epic world of Hot Wheels® thrills.